The Spanish version of PES 2012 will feature the commentating duo of Carlos Martinez and Julio Maldonado. The pair were also the commentators for PES 2011 this year, but it's been confirmed they will stay on for at least another year. This afternoon, they were recording new commentary for PES 2012 - which is due to be released "in the fall", according to the Twitter account of Carlos Martinez. 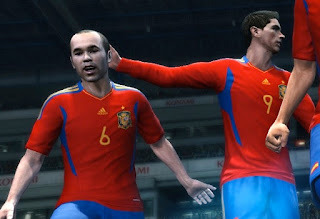 Additionally, the rumours that were suggesting PES 2012 would be released in July are not true. Pro Evolution Soccer should be released in October, as expected, like normal.